2 single berths in saloon. 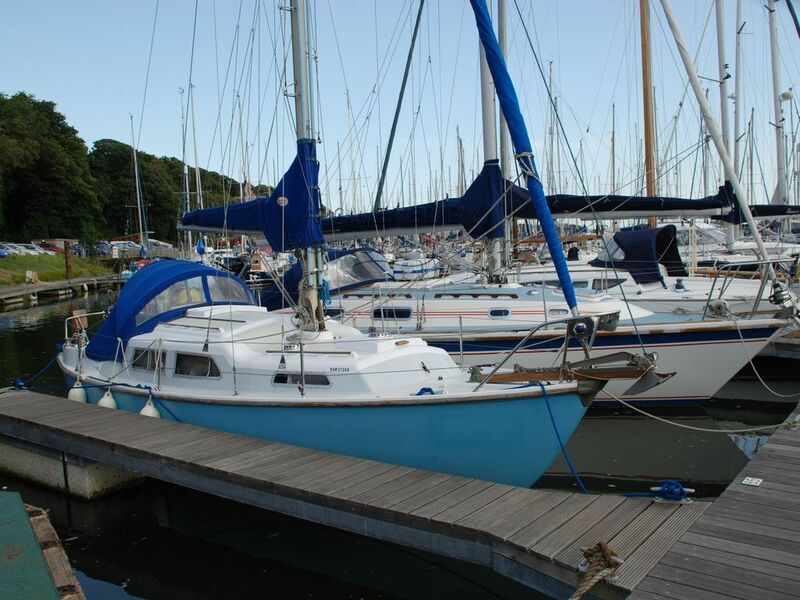 This is Sabre 27 represents very good value for money, she has been loved by her owners and is in very clean condition. The Bowsprit housing the Anchor and Furling gear is practical. The Yacht has almost new Sails purchased in 2016 hardly used made by Kemp Sails, including Lazy Jacks and Stack Pack Lazy Bag, which makes folding the main an easy procedure for a family sailing. I have inspected the boat and interior is spacious and light, seat covers in Saloon have been renewed in recent years and the forepeak cushions are new. She really is a great family boat with a good turn of speed but safe and stable performer. The Kubota diesel was new in the late 90's see images for its condition, a new starter battery in 2017. The Kubota is very economic with a normal speed of 6 knots. All in all a very good Yacht at a realistic price with recent gear purchased, currently owned by an experienced yachtsman. This Marcon Sabre 27 has been personally photographed and viewed by Peter Thomas of Boatshed Suffolk. Click here for contact details.